I’ve been using this little image of Peg’s self-cleaning olfactory apparatus as my web presence for years. It’s my gravatar and the favicon here and at Hot Topic. It was shot for The Truffle Book in 2005, when she was two years old and already a champion truffle hound. She died on Monday morning, poisoned by eating pindone bait laid to control rabbits. The bait was in stations designed to stop dogs getting to it, but beagles are greedy and resourceful, and somehow she managed to eat enough to kill her. The poison hit her in a way that fooled us all, vet included. Right now, I’d trade a thousand rabbits and the ire of my neighbours to get her back. Since we’re in catching up mode, here a couple of articles I’ve been meaning to make available for some time. The first is a paper [PDF] on Chinese truffles commissioned by Gastronomica (the prestigious US food and culture journal) in 2008, which draws heavily on my experiences in China in 2007. It discusses the impact of Chinese truffles on the world truffle market, and the prospects for the future. Admirers of Peg the beagle (and dog lovers in general) will enjoy this six page feature [PDF] from New Zealand’s Pet magazine (issue 47, June-August 2009). The truffle hound’s on fine form, but please ignore the pictures of her boss. Jean-Paul Pochin did a great job on the words and pictures. It’s an awkward time. The first truffle is fading into memory, the truffle harvest in the region is getting into full swing, and I’m wondering when I’ll find number two. The amazingly charming Peg is dutifully sniffing round the trees, but remains more interested in the mice than in anything else that may be under the ground. We’ve had visits from two truffle dogs, neither of whom showed a lot of interest — though with one of them we were doing the rounds after dark, so it was hard to be sure what was going on. 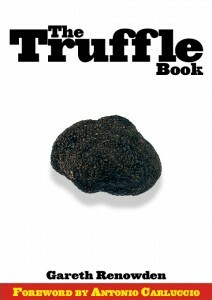 It would be rather ironic if we only had one truffle this year, and I found it by sheer luck rather than dogged skill. Ironic, but unlikely. I hope. 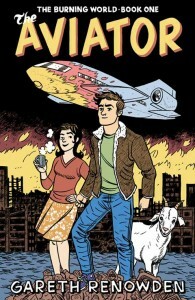 The incredibly charming Peg is being reminded of her chief purpose in life. This is not to wander around the garden annoying the cats, or to consume the butcher’s fine bones, nor yet to sleep on my daughter’s bed, but instead to apply her very fine nose to the task that will soon be at hand — finding truffles. She’s getting regular reminder sessions with truffle baits (35mm film canisters with a little truffle oil on cotton wool inside and holes cut in the lid to let the smell out) buried in the truffiere, and is finding them with her customary ease. In three or four weeks the season will be beginning, and she will find me my first truffle. Or not. The coming NZ season looks promising. There are reports of good signs of truffle from several established producers, if not yet at Limestone Hills. Meanwhile, the irrepressible Tim Terry in Tasmania tells me he has just harvested his first of the season. By accident. A trainee truffle hound did the business. Not yet fully ripe, though.